Nominations for the 2018 Academy Awards have arrived, and there are a plethora of surprises, both pleasant and questionable. On the plus side, Guillermo Del Toro’s beautiful fantasy The Shape of Water is the unexpected nominations leader, with a sparkling 13 across the board, including Best Picture and Best Director. But on the other hand, one of the year’s most popular and socially relevant films, Wonder Woman, was completely shut out. And when we say “completely,” we mean completely. 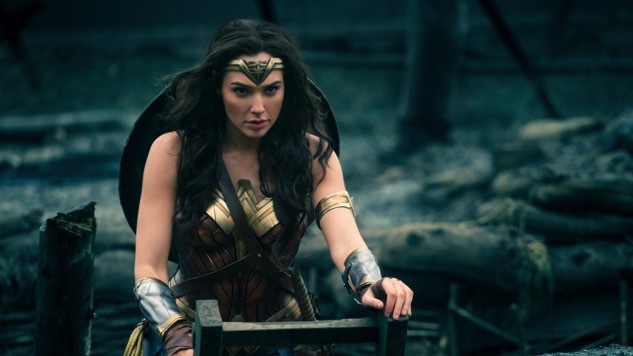 Wonder Woman was always going to be a long shot for a Best Picture nomination, but it did have a considerable amount of buzz for that spot, which would have been a nice symbolic victory in a year when Hollywood was marked with constant drama related to male-perpetrated sexual misconduct. Gal Gadot couldn’t score a Best Actress nomination, going up against a field that included perennials such as Meryl Streep. Then there’s the Best Director category, in which many hoped Wonder Woman director Patty Jenkins would be recognized, but the Academy couldn’t find a place for her there, either. On a happier note, Greta Gerwig was nominated for Lady Bird, becoming (incredibly) just the fifth woman ever nominated for Best Director. What’s most surprising about the Wonder Woman snub is how the film was completely overlooked in the many technical categories, where one would have expected it to be recognized. Allan Heinberg and William Moulton Marston were nominated in the adapted screenplay category of the USC Scripter Awards, but that wasn’t good enough to get them nominated for an adapted screenplay Oscar. Likewise, the Academy failed to nominate the film for its art direction, costume design or visual effects, despite the fact that it has recently received nominations in production design and costuming at other awards shows. It all leads us to wonder: Will we see a #JusticeForDiana hashtag dominate Twitter this Oscars season?